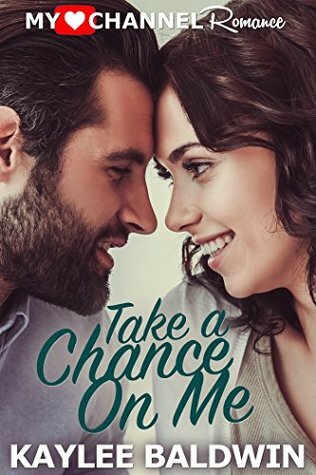 TAKE A CHANCE ON ME is a fun, heartfelt story of one woman's fear of losing control and the man who made her risk things in the past, brought together by chance and her adorable son. The characters are sure to charm readers, just as the romance is sure to bring plenty of humor and swoon-worthy moments. An enjoyable read for sweet romance fans! I loved that these characters weren't perfect. They also weren't cookie-cutter. Madelyn feels fairly stuck in her life in a rundown apartment working as a waitress to get by and doing some side journalism, which is her dream. Her only bright spot is her son, who brings so much to this story. I loved how spot on his character was and how adorable he is. I loved his hero worship of Chance and love of animals and the outdoors. I have two boys that are equally enamored by things like this, so it was easy to relate. I also could easily relate to Madelyn who wants to control the things she can in her life and has never had it easy. Then there's Chance... he is so charismatic and adventurous... really everything Madelyn is not. He's also matured and found his place since they last knew each other, which to me, made things work between them. I loved, loved the chemistry! The author did a fabulous job in creating these sweet moments between them with just a touch or a look or a word. I didn't have to be told things as a reader because I could see and feel them for myself through these characters. In the end, was it what I wished for? If you're looking for a sweet romance with plenty of depth and heart and a sweet boy that will charm you as much as the leading man, definitely grab this one! Source: I received a complimentary copy I Am A Reader, which did not require a positive review nor affect it in any way. You can check out an excerpt from the book and enter a giveaway here.